The development of useful and usable interactive software systems depends on both User Interface (UI) design and software engineering in a complementary way. However, today, application development and UI design are largely separated activities and fields of knowledge. This separation is also present in education as can be witnessed from the common independent way of teaching of both subjects. Although the development of better interactive software systems could benefit significantly from an integrative teaching approach, there is a lack of concrete and proven approaches for such way of teaching. This paper presents technology enhanced support for filling this gap. The proposed tool supports and improves learning achievements for the development of interactive software systems. The learning support includes feedback for conceptual modeling integrated with UI design. The tool applies Model Driven Engineering principles that allows the automatic generation of a working prototype from specification models. This capability allows the learner trying out the final application while validating the requirements. 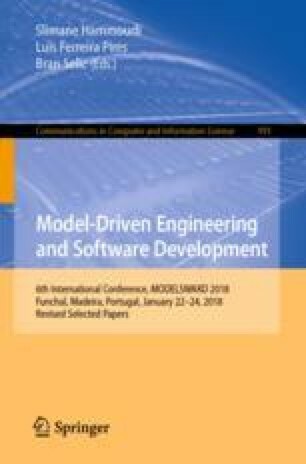 An experimental evaluation with novice developers demonstrates the advantages of this didactic tool.